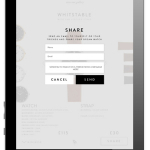 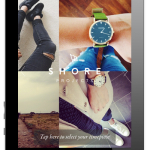 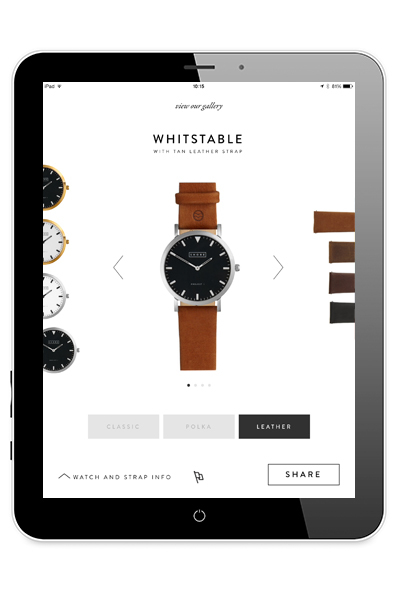 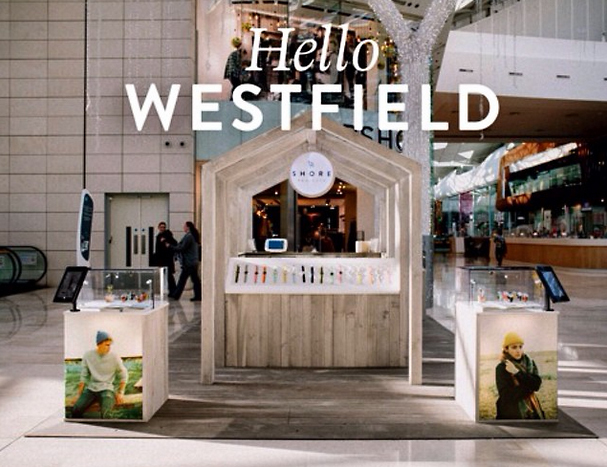 Luxury watch company Shore Projects were looking to produce an app to be launched and used at their premier pop-up shop at Westfield Shopping Centre. 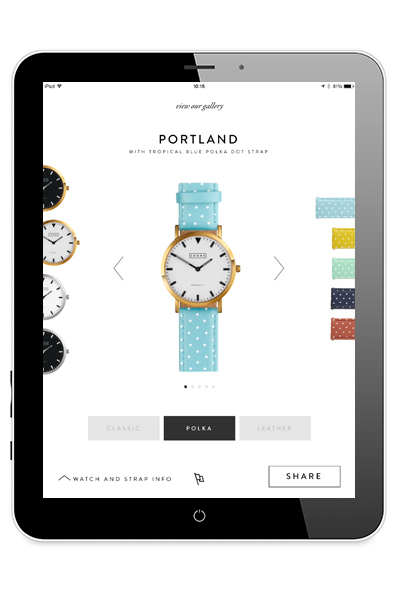 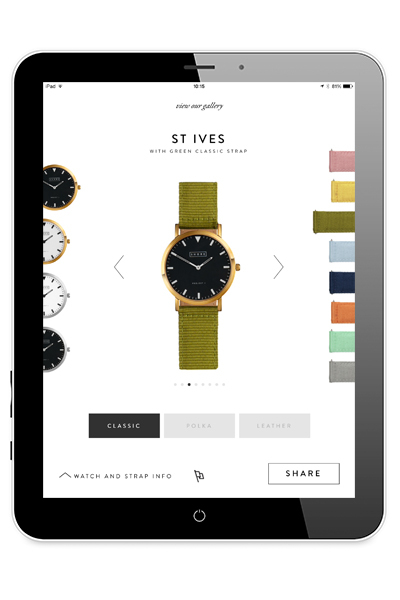 The brief was to create an app that allowed Shore Projects’ customers to customise their watches. 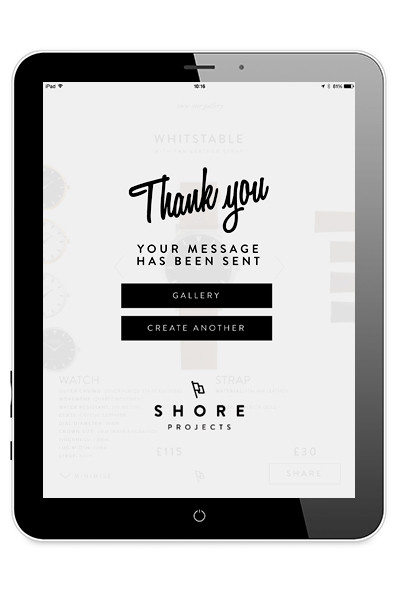 As the visual design of the app was to blend with Shore Project’s site, brand image and the pop-up shop itself, we used these aspects to inform the colour palette, typeface and other app features. 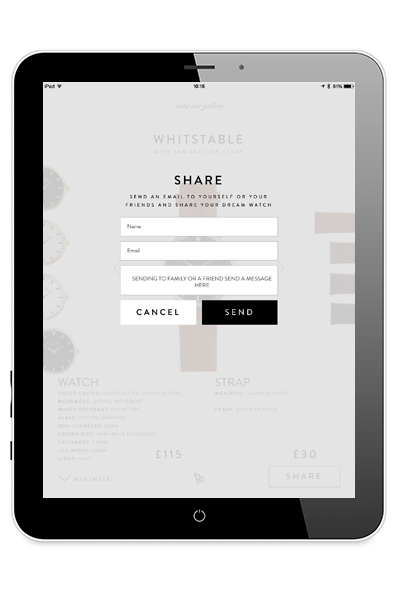 Next to include was the customisable feature of the app. 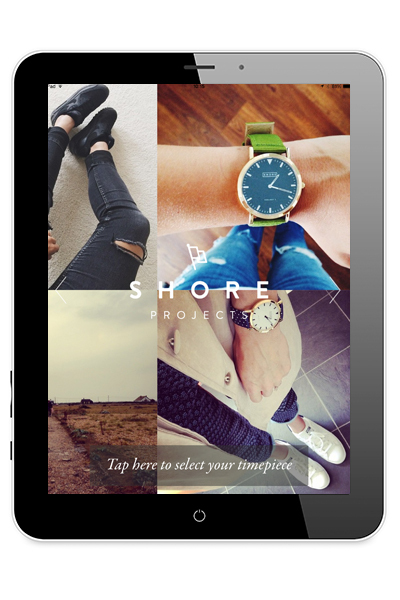 As a key USP of Shore Projects’ products is the ability to mix and match the watch strap and face, we elected to work this into the app – we also added the functionality to share any watch design socially and via email. 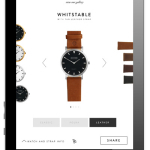 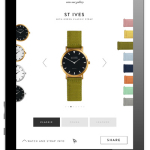 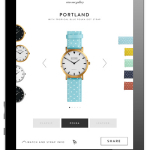 The resulting app was a great success and addition to the pop-up shop, allowing potential customers to interact with the products and create their perfect watch.